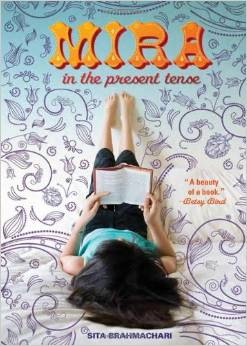 Mira in the Present Tense by Sita Brahmachari. Albert Whitman & Company, Chicago, IL 2013. Originally published in 2011 in the UK by Macmillan Children’s Books as Artichoke Hearts. Mira Levenson is turning twelve and she’s worried about her grandmother Josie, who is probably dying, her best friend, who is changing too fast and a boy she meets in Literature Club with a mysterious past. While all these worries tangle around in her mind, she also comes smack up against her developing body and all that entails. When Pat Print, the visiting author to Mira’s school, gives an assignment to write a month-long diary, Mira tells Pat that she finds it easier to paint than to write. When she reads a passage that Pat has written in the present tense, “…I…disappear into it, like I do when I’m painting. It’s as if I don’t exist anymore; I just get lost somewhere in there among the characters…” Mira decides to write her diary in the present tense. I recently read Blume’s book for the first time. It remains a strong story, able to pass the test of time. Which makes me wonder: why did Atheneum Books for Young Readers re-release it this year with a cover that can only be described as misleading? Certainly, the marketing department wanted to appeal to today’s young girls, but all they’ve accomplished by making the cover suggest that Margaret texts God is to mislead readers. Young girls today are accepting of historical fiction, which is what Margaret, published in 1970, represents to them. But to design a cover that purposely suggests this is a contemporary book will only serve to disappoint the reader. When the reader finds the characters in “Margaret” go to parties dressed in velvet and suits and ties and everyone has a landline, she’s going to feel tricked into reading the book. 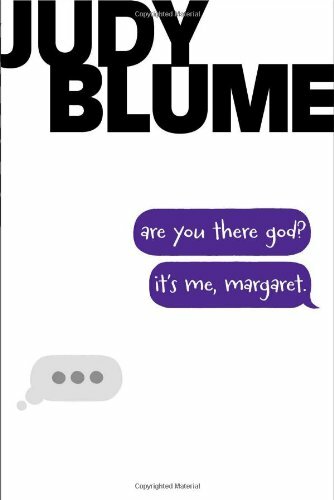 Judy Blume’s book stands the test of time very well, thank you. Marketers didn’t need to fool girls into reading it.